Welcome to Flipped PL ... moving professional learning into your time ... your space. Consider students' voices emphasizing the importance of metacognition for deepened learning. Click on the image to check out this podcast discussing assessment, thinking, connected and flipped learning. Click on the image to access an interview on Personalized Learning with the hosts of the "Do-Do's & Don't-Do's of Personalized Learning"--Matt Shea & Courtney Belolan. A) What are educators saying about Flipped PL? 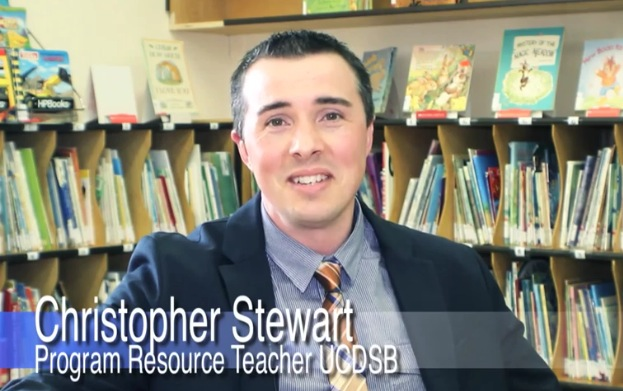 -Flipped learning allows students to take ownership & leadership. Learning is a co-space of thinking, co-creating success criteria, building knowledge & conversations for reaching the goals (Interview, hosted by Rola Tibshirani, on "The Missing Link", Feb 2/19). -You ensure that everyone at the table has a voice...that they are heard. The facilitation was inspiring, we connected as a team, and met our goals (Executive Member, Carleton-Ottawa Mathematics Association, Feb 9/19). -The professional learning I received was matched to my needs, provided just-in-time, and complemented how I like to learn (Educator, Program Leader). -You have really helped me stretch and think about teaching in new ways (Educator, School Learning Team). -Having these tools, along with coaching, will be a perfect support for teacher learning (Learning Resource Teacher). -Great learning content ... we like the format of this learning opportunity (Educator Group). -We're growing ideas with everyone's participation (System Teacher). B) What are administrators saying about Flipped PL? -Due to the depth of knowledge made available, open-mindedness, and interpretive listening, our collaboration with Flipped PL led to making ideas better (School Administrator, Upper Canada DSB, May 2018). -I like how you apply your own curiousity and learning to various divisions and subject areas (System Administrator). -The value of having ... time with a colleague to view and discuss the on-line training was beneficial. We liked the ability to pause when we felt it necessary and the ability to set our own time limits ... for discussion time (School Learning Team, Upper Canada DSB). C) How do I create this type of professional learning opportunity? The "Today's PL ... Flipped" link takes educators to a page that they can navigate to facilitate their learning experience. Since flipped learning is geared to helping us determine the best use of our face-to-face meeting time for professional development, this experience can also include a follow-up, face-to-face component in which participants will bring their learning and reflections into a workshop experience that includes observation and documentation of student thinking--truly blending the learning opportunity and experience! How do I create a Flipped PL opportunity for myself, group, school, or district? Reach out for a consultation, where we can discuss your ideas, design an experience, and/or facilitate the learning opportunity. NOW AVAILABLE: An on-line sign-up option has been made available to share your ideas and to determine best ways for Flipped PL to collaborate with you. I am passionate about leadership for learning and teaching and learning through inquiry. Through collaborative exploration of high-yield, pedagogical strategies, I have been able to further engage students to deepen their learning and fellow educators in continuously growing their practice--Flipped Learning, Thinking Classrooms, and culturing Student Voice as examples. I hope that the sites I have created serve you well in your educational journey through leadership for learning, teaching and learning by moving professional learning into your time ... your space. If you have questions or feedback, please feel free to contact me. Sincerely Yours, Chris Stewart |OCT | Founder & Education Leader, Flipping the Focus. ©2019 Flipping the Focus. All rights reserved.